Blue Riddim Band, America's original reggae band have returned to action for the first time in 25 years with a stirring collection of songs that honor the artists and songs that have influenced them throughout their nearly four decade career which includes a 1986 Grammy nomination for best reggae album. The inspiration behind 'Tribute' is simply that, a tribute, to the band's fallen comrades who have passed away (Scott Korchak and Bob Zohn), and to the originators of rocksteady and dub that have guided the band throughout their long career. 'Tribute' is similar in some ways to UB40's 'Labour Of Love series of albums, in that the 10 songs featured on the album are a tip of the hat to the band's Jamaican mentors who recorded some of the genres most well known and iconic tracks during 1965-69. While reggae has become a global phenomenon, the idea of an authentic American reggae band has often been hard for a lot of music fans to comprehend. However, very few groups have played reggae as convincingly as the Blue Riddim Band who hail from Kansas City. Drawing on influences from Coxson Dodd's Studio One label and Duke Reid's Treasure Isle label, Blue Riddim has flourished for four decades by mastering the rhythms that are the basis for all Jamaican music. 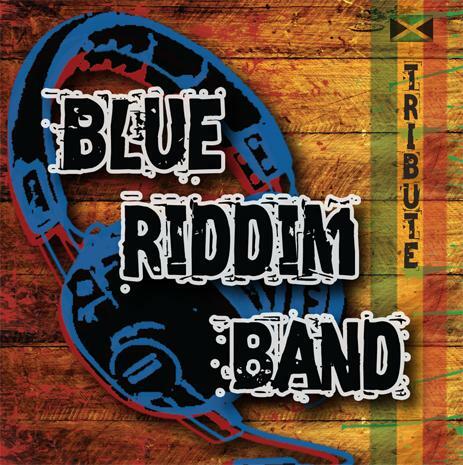 While other non-Jamaican reggae bands have fallen into the trap of trying to reproduce the crossover sound of Bob Marley and The Wailers, Blue Riddim became students and later experts who could play a range of ska, rock steady, and rockers reggae like the originals they pay homage to on 'Tribute'. Their performance during the 1982 Reggae Sunplash Festival remains legendary. The new album features three original members including Steve “Duck” McLane (drums) and Jack “Blacky” Blackett (sax) and bassist Todd 'Bebop' Burd (who joined in 1983). It also features a cameo appearance by Jimmy Becker on harmonica who played on the band's Grammy nominated 'Alive In Jamaica' album. The band is rounded out with Jack Lightfoot (trumpet), Chris Bartak (trombone), Dan Bergner and Joe Miquelon (keyboards), Jimmy Dykes (guitar) and Edward Turner (vocals). To keep an air of rawness to the sound, Burd and co-producer Leonard Dstroy did not inform the band what songs were to be recorded prior to the actual recording session. To add even more authenticity to the proceedings, the air conditioning in the studio was turned off and a minimal amount of mics were employed to capture the recordings. Burd believed that the recording conditions should be a bit physically uncomfortable to re-create some of the actual conditions that existed at Studio One in the 60's and try to catch a vibe that way. 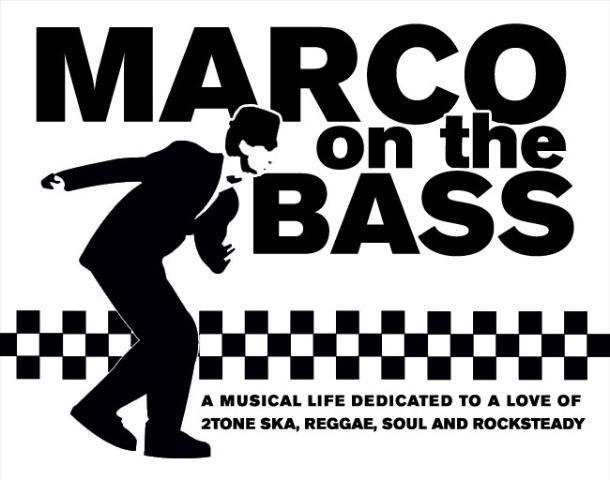 The boot camp approach has worked wonders and the songs which include a mix of well known and obscure tracks from the Studio One/Treasure Isle archives are fantastic, among the best ska, 60's era reggae and dub you are likely to hear in 2010. McLane's drumming in particular is sublime, and he may be one of the most underrated reggae drummers of all time. The band's horn section (always among its strongest features) remains at the fore and continues to carry the memorable melodies of these classic songs. Vocalist Turner is a great addition to a band that was always identified by the unique vocals of its original singers Zohn and Korchak. 2. 'Black Stick Rock' is originally 'Love Without Feeling' by The Heptones. 3. 'Only A Dub' is an instrumental version of the classic, 'Only A Smile' by The Parragons. 4. 'Skaravan' is a ska version of the classic 'Caravan' by Duke Ellington. 5. 'Ba-Ba-Boom' is by The Jamaicans. 6. 'Money Maker' is an instrumental version of The Heptones, 'Fatty Fatty Riddim'. 8. 'Dub Drifter' is an instrumental version of the “Mudie” label classic 'Drifter' by Dennis Walks. 9. 'Dub and Learn' is an instrumental version of the Alton Ellis classic 'Live and Learn'. 10. 'Queen of the Rub' is originally 'Queen of the Minstrel' by Cornell Campbell.